Home/Business News/Recofloor, the national vinyl take back scheme, launches new website. Recofloor’s re-designed website offers significantly-improved functionality and new features, providing all the information that flooring companies need to recycle their waste vinyl flooring. 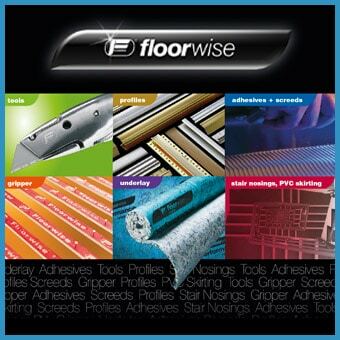 Easier to navigate and more user-friendly, the comprehensive site www.recofloor.org has direct links to the websites of Altro and Polyflor, founders of the UK’s national vinyl flooring recycling scheme. Familiar features remain, such as the map showing all the 64 Recofloor drop-off sites across the UK and Ireland and a cost calculator to work out how much money you can save by using the Take Back scheme. Key new additions include dedicated pages for contractors and distributors where they can access useful data such as online forms to request collections and bags, leaflets, case studies and an easy step-by-step guide on how to use the scheme. Information on waste carriers licences and waste exemptions has also been added. Look out too for the live Twitter feed. Collectors can download leaflets and case studies, plus a training presentation for staff, from a new resource area. An Events page will keep members updated on future Bacon Butty events and trade shows attended by Recofloor, plus of course, the annual Recofloor Awards. Members can enter the Recofloor Awards 2016 for free via the website. Taking a football theme, the Awards ceremony will be held on March 3 at Old Trafford, the Home of Manchester United. Deadline for entries is January 13 2016. Latest announcements will be posted on the Home Page ‘slider’ section, highlighting topics such as upcoming events, seasonal collections or member news. Commenting on their new website, Recofloor’s Project Officer Carla Eslava says: “We think it looks great and with so many additional features and content, it will serve as a terrific reference source for both existing Recofloor members and those interested in joining us. Smooth and safety off-cuts and smooth uplifted flooring are collected by Recofloor for recycling back into new products, including flooring. Participants in the scheme benefit from enhanced green credentials for their businesses and up to 75% savings in disposal costs. More than 2,650 tonnes of vinyl flooring has been collected since the scheme’s 2009 inception.